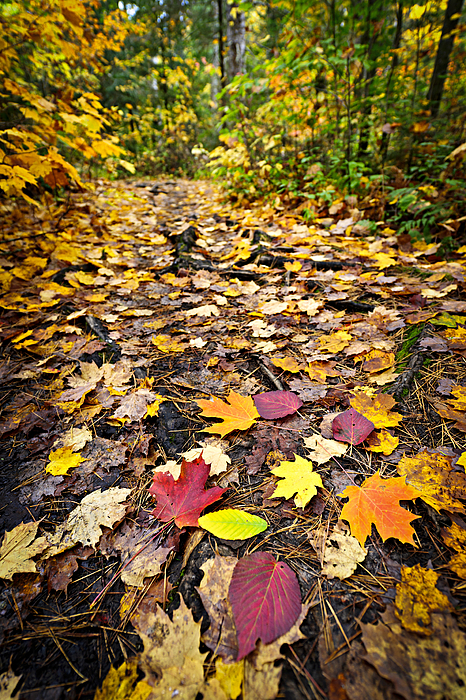 A glorious rush of color. 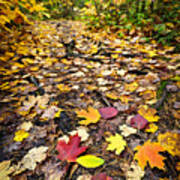 This is a beautiful Fall image. 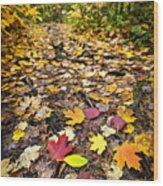 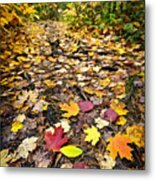 Fall forest path with fallen leaves covering the ground, Algonquin Park, Canada.